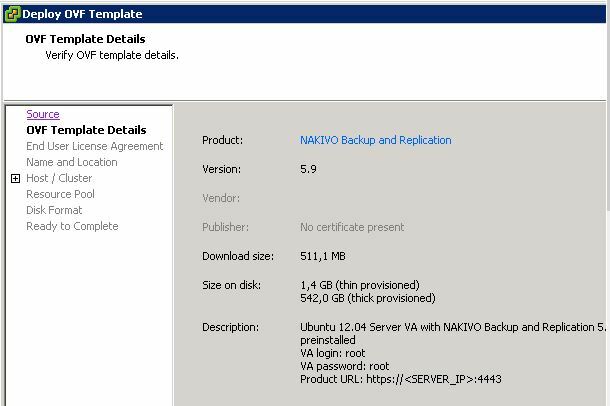 Nakivo is a company with an interesting (both for the features and the costs) backup & replication native for VMware vSphere. The latest available version of branch 5 (started more than one year ago) is v5.9 (you can download the trial version). This Virtual Appliance contains all components of NAKIVO Backup & Replication: Director, Transporter, and Backup Repository. Download this Virtual Appliance if you want to do a new installation of the product and keep all (or some) of your backups on the Virtual Appliance. 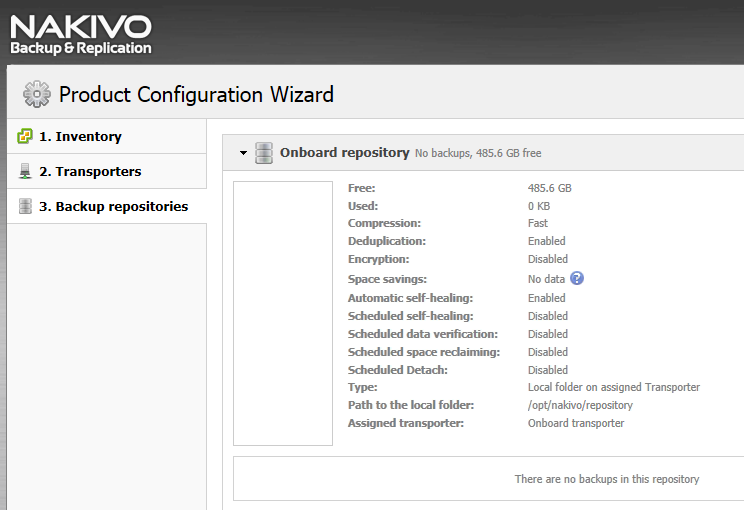 This Virtual Appliance contains the key components of NAKIVO Backup & Replication: Director and Transporter, but does not include the Backup Repository (a new one can be created later). Download this Virtual Appliance if you want to do a new installation of the product and do not want to keep backups on the Virtual Appliance. This Virtual Appliance contains only the Transporter component of NAKIVO Backup & Replication. Download this Virtual Appliance if you have already installed the Director and want to install an additional Transporter to distribute workload or run jobs across WAN. 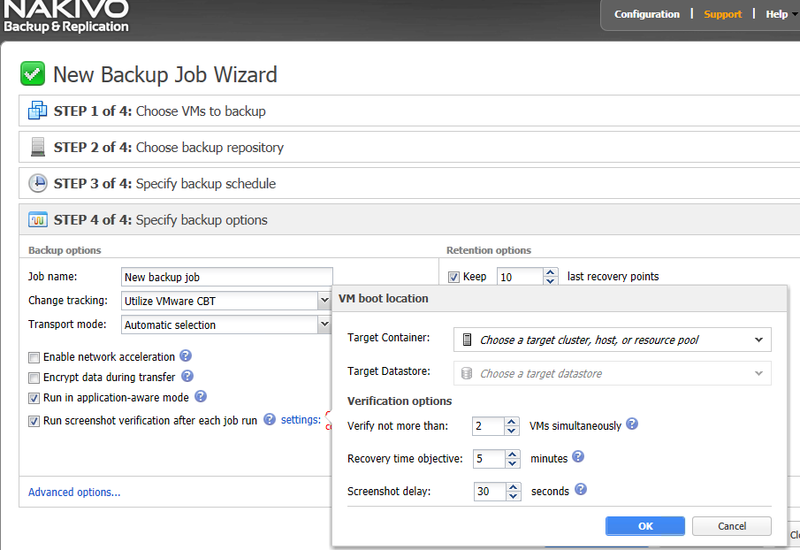 This Virtual Appliance contains the Transporter and Backup Repository components of NAKIVO Backup & Replication. 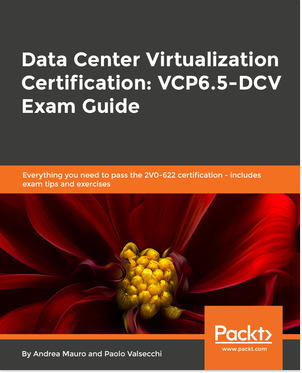 Download this Virtual Appliance if you have already installed the Director and want to install an additional Transporter and keep backups on it. This Virtual Appliance contains only the Director component, which is deployed in the multi-tenant mode. Download this Virtual Appliance if you want to provide BaaS, RaaS, or DRaaS. As you can notice Linux version is available in different virtual appliance depending the roles that you need. But there is also in interesting NAS installar to optimize some target for Nakivo. It remain one of the few backup products with both OSes support, not only as a guests (in this case almost all backup solutions support both), but for the roles and the servers part. Now you can choose to deploy some transporters. A Transporter is an application that runs as a service on a Windows-based or Linux-based machine. The Transporter performs actual backup, replication, and recovery tasks, as well as handles data compression, deduplication, and encryption. The Transporter is also responsible for backup repository operation. Each backup repository must have an assigned Transporter. A single Transporter can back up, replicate, and recover multiple VMs from multiple vCenters and ESX(i) hosts. In most cases, only one Transporter per site is required. In large environments, multiple Transports can be deployed to distribute the data protection workload. Note that there are two types of CBT: VMware native one and Nakivo CBT (slower). 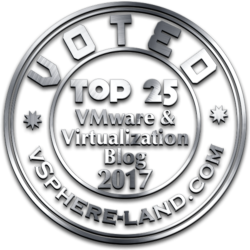 This was quite interesting option considering the mess with the VMware CBT in vSphere 6.0. 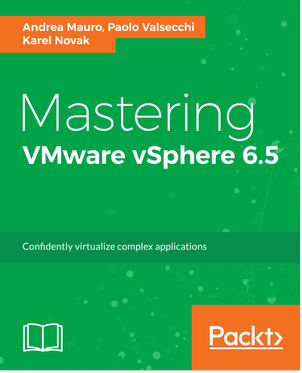 Application level consistency could be handled by VMware quiescence (using the VMware Tools features) or by pre and/or post job backup scripts. Applications level restore actually is limitated to few appliactions (compared to other procucts). 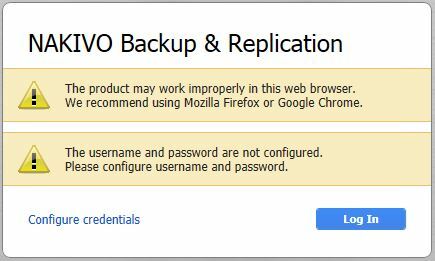 But there is an interesting feature for testing your backups that runs screenshot verification after each job run (by using the VMware Tools again).